MediaLine reports that Maj.-Gen. Moshe Kaplinsky, Israel's deputy chief of General Staff told a conference of mayors on Friday that Iran would have nuclear weapons "in the near future." Kaplinsky warned of the danger of the deepening alliance among Hezbollah, Syria, Iran and Hamas, saying that, "The deeper the connection between [them]… the more we need to worry." He said Syria was continuing to rearm Hezbollah while both Hezbollah and Syria prepared for another round of warfare against Israel. Reports in Israeli media indicate that the army is anticipating the possibility of a resumption of the Lebanon war next summer. Meanwhile, Arab states in the Gulf announced at the end of a two-day GCC summit in Riyadh today that they were considering a shared nuclear program "for peaceful purposes" as Iran continues its nuclear ambitions. 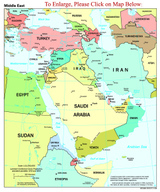 The GCC is comprised of Saudi Arabia, Kuwait, the UAE, Qatar, Bahrain and Oman. Yemeni PM Abdel Kader Bajammal says that his country needs $48 billion over a decade for upgrades in infrastructure, combating poverty and unemployment, and boosting education in order to catch up with oil-rich Gulf Arab economies. Ministers from Yemen and Gulf Cooperation Council (GCC) members Bahrain, Kuwait, Oman, Qatar, Saudi Arabia, and the UAE discussed preparations for a Yemen donors' meeting slated for November 15 and 16 in London being held in cooperation with the World Bank in an effort to muster funds for development. Yemeni planning and international cooperation minister Abdel Karim Al Arhabi was quoted last month as saying that Yemen would ask donors for $10 billion in aid over five years to help prepare it for GCC membership. The only country in the Arabian Peninsula without direct access to the Gulf and its only republic, Yemen has for a decade been knocking at the GCC's door. The GCC partners, which forged their alliance in 1981, have been in no hurry to admit the poor country of some 20 million into their ranks. However, in December 2001, Yemen won GCC approval to join some of the bloc's councils - in the fields of education, social affairs, health, and sports. As if they qualified as weapos inspectors, Iranian President Mahmoud Amhadinejad has ordered that the country's nuclear sites be opened to foreign tourists to prove its program is peaceful, state media report. No details were given on the nature of the trips, or when they might begin. Possible attractions would include the plants at Isfahan and Natanz, or a reactor being built in Bushehr. The head of Iran's tourism organisation said Ahmadinejad had asked his group to study ways for tourists to see the sites, state news agency Irna reported. "This authorisation has been issued since the Iranian nuclear activities are peaceful," Esfandyar Rahim Mashaii told the agency. In other news, Iran's Trade Development Organization has recognized the UAE as Iran's main trading partner over the past eight years. It is estimated that Iran's non-oil exports to the UAE in the first five months of the current Iranian year was $1.2 billion. The figure for the corresponding period last year stood at $638 million. Iranian imports from the UAE comprise gas, cigarettes, spare parts for machinery, telecommunications and radio apparatuses, auto teller machines, mobile phones, heavy machinery and banana. Earlier today, President Bush addressed the UN General Assembly and spoke about a more hopeful world beyond terror and extremism - where ordinary men and women are free to determine their own destiny, the voices of moderation are empowered, and the extremists are marginalized by the peaceful majority. Bush said the principles animating this future are in the Universal Declaration of Human Rights' statement that the "equal and inalienable rights of all members of the human family is the foundation of freedom, justice and peace in the world." In the nearly six decades since that document was approved, we have seen the forces of freedom and moderation transform entire continents. 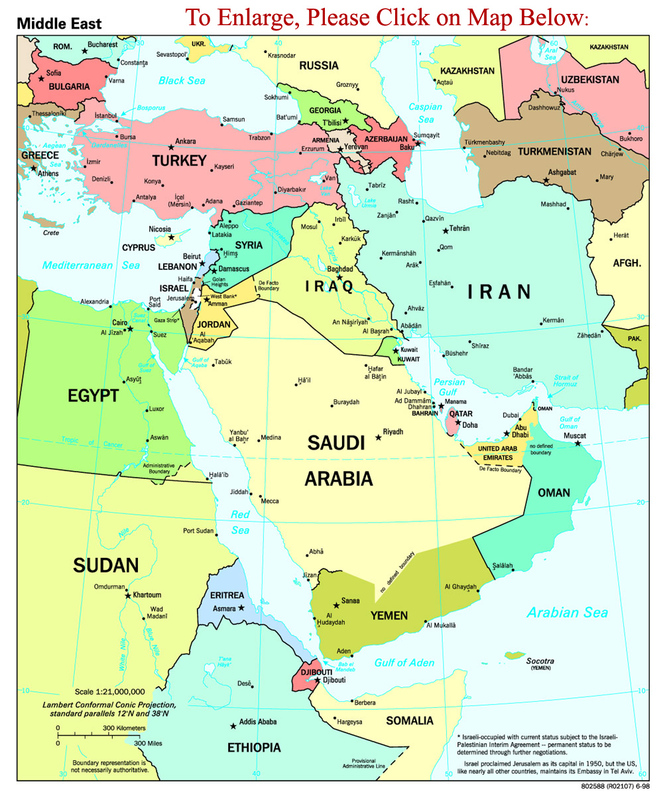 Some of the changes in the Middle East are happening gradually, but these changes are real. Algeria has held its first competitive presidential election, and the military remained neutral. The UAE recently announced that half the seats in its Federal National Council will be chosen by elections. Kuwait held elections in which women were allowed to vote and run for office for the first time. Citizens have voted in municipal elections in Saudi Arabia, in parliamentary elections in Jordan and Bahrain, and in multiparty presidential elections in Yemen and Egypt. Obviously, many have argued that these democratic changes are destabilizing the Middle East - but as he has said before, Bush said the stability we thought we saw in the Middle East was a mirage. For decades, millions of men and women in this region have been trapped in oppression and hopelessness. These conditions left a generation disillusioned and made the region a breeding ground for extremism. He called on every civilized nation - including those in the Muslim world - to support those in the region who are offering a more hopeful alternative. Bush spoke directly to people across the broader Middle East and said clearly: America desires peace. Near the end of the speech, Bush spent a good deal of time focusing on peace between Israel and the Palestinians. He said that by supporting the forces of democracy and moderation, the world can help Israelis and Palestinians build a more hopeful future and achieve peace. Bush declared that President Abbas is committed to peace and to his people's aspirations for a state of their own and PM Olmert is also committed to peace and has said he intends to meet with President Abbas to make real progress on the outstanding issues between them. Bush continues to wait for Hamas to implement their platform of ending corruption and improving the lives of the Palestinian peole. The world has sent a clear message to the leaders of Hamas: Serve the interests of the Palestinian people, abandon terror, recognize Israel, honor agreements, and work for peace. Bush has directed Secretary Rice to lead a diplomatic effort to engage moderate leaders across the region, help the Palestinians reform their security services, and support Israeli and Palestinian leaders in their efforts to come together to resolve their differences. British PM Tony Blair has indicated that Britain will work with partners in Europe to help strengthen the governing institutions of an effective Palestinian administration. Countries like Saudi Arabia, Jordan, and Egypt have made clear they are willing to contribute the diplomatic and financial assistance necessary to help these efforts succeed. Iran attacked and seized control of a Romanian oil rig today in the Persian Gulf, one week after the European company Grup Servicii Petroliere (GSP) removed another of its rigs from Iranian waters because of non-payment of fees. An Iranian naval vessel fired on the rig in Iran's offshore Salman field and took control of its radio room at 07:00. "The Iranians fired at the rig's crane with machine guns," GSP representative Lulu Tabanesku said. "They are in control now and we can't contact the rig." The Romanian company has 26 workers on the platform, he said. Iran accused GSP last week of "hijacking" a rig from the same Iranian waters where the rig that was attacked today operates. GSP said it moved the rig to UAE waters because its client, Oriental Oil Kish, had not met agreed payment terms. Iranian President Mahmoud Ahmadinejad suspended Oriental Oil's activities in 2005 on charges of "financial corruption" and ties to Halliburton, state news agencies reported last August. The UAE-registered drilling company had signed a preliminary contract with Halliburton after winning an estimated $310 million contract to develop phases 9 and 10 of Iran's offshore South Pars gas reservoir. Romania has "asked for clarification over the situation of Romanian citizens and their release if they are being held,: the Romanian foreign ministry said. "A note has been sent to the Iranian Foreign Affairs Ministry requesting clarification." However, Romanian President Traian Basescu unsuccessfully attempted to contact Ahmadinejad regarding the seizure of a Romanian oil rig. This morning it was reported by al-Jazeera that the U.S. plans to sell arms worth $4.6 billion to Saudi Arabia, the UAE, Bahrain and Oman. In the newly proposed sale, battle tanks worth $2.9 billion and AH-64 Apache helicopters worth $400 million will be sold to Saudi Arabia. The UAE would get $808 million worth of UH-60M Black Hawk helicopters and Bahrain would get $252 million worth. Jordan would get a potential $156 million in upgrades to 1,000 of its M113 A1 armored personnel carriers (APCs). Javelin anti-tank missiles worth $48 million would go to Oman under the deals put forward by the Pentagon's defense security agency, which administers all government-to-government arms sales. Notices of proposed U.S. arms sales are required by law once they pass certain value thresholds. Congress may block a sale if both houses pass resolutions of disapproval within 30 days of formal notification. Foreign ministers of 18 Arab countries held an emergency summit in Cairo on Saturday over Israeli action in Lebanon, but squabbles over the legitimacy of Hezbollah's attacks on Israel --including the kidnapping of two IDF soldiers-- appeared likely to keep participants from reaching a consensus, delegates said. The Saudi foreign minister appeared to be leading a camp of ministers criticizing the Hezbollah's actions, calling them "unexpected, inappropriate and irresponsible acts." "These acts will pull the whole region back to years ago, and we cannot simply accept them," Saudi al-Faisal told his counterparts. It appeared that Egypt, Jordan, Kuwait, Iraq, Bahrain, the UAE and the Palestinian Authority were in agreement. Syrian Foreign Minister Walid Moallem, however, lashed back al-Faisal, asking "How can we come here to discuss the burning situation in Lebanon while others are making statements criticizing the resistance?" Moallem called Hezbollah's action "legitimate acts in line with international resolutions and the UN charter, as acts of resistance," delegates said.